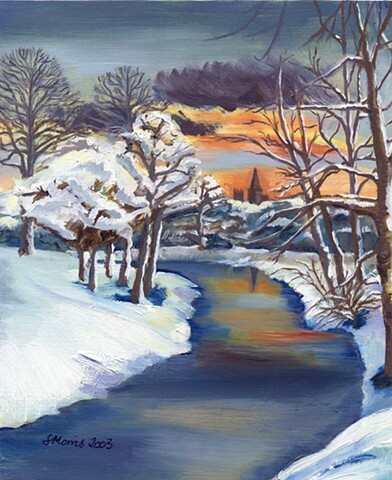 Available as an A5 Christmas card and midi print, please see order form. "In the Bleak mid Winter"
Dunfermline Abbey rooftop justpeeping through the trees on a snow laden day by the side of the burn. Unashamedly chocolate box and sentimental. My daughter has the original of this one.